The Funk Brothers place in soul music’s history is assured. They were Motown’s studio band between 1959 and 1972, when Motown moved to Los Angeles. By then, The Funk Brothers were the most successful studio band in the history of soul music. Forty-three years later, and that’s still the case. However, there was life after The Funk Brothers. That was the case for Marvin Gaye, Jack Ashford. Ray Parker Jr., Earl Van Dyke, Bob Babbit and Wah Wah Watson. They went on to enjoy long and successful careers after they left The Funk Brothers. So did guitarist Dave Hamilton. Dave Hamilton was one of the original members of the The Funk Brothers. He was there in 1959, and spent three years playing guitar and vibes on early Motown recordings. Then in 1962, Dave Hamilton left The Funk Brothers and embarked on a solo career. By then, Dave Hamilton had already released a single with Dave Hamilton and His Peppers. This was Donna’s Cha Cha, which was released on the Hi-Q label. On its release, Donna’s Cha Cha disappeared without trace. So Dave returned to The Funk Brothers. Then in 1962, Dave Hamilton left The Funk Brothers for good. A year later, in 1963, Dave Hamilton released his debut album Blue Vibrations on the Motown jazz imprint, Workshop Jazz. Late Freight was released as the lead single from Blue Vibrations. However, neither Blue Vibrations, nor Late Freight was a commercial success. Nor was the sophomore single from Dave Hamilton and His Peppers. Three years after the release of their debut single, Dave Hamilton and His Peppers released their sophomore single Beatle Walk. It was released on Fortune Records in 1964. Just like Donna’s Cha Cha, Beatle Walk wasn’t a commercial success. Just two years into his new career, and it looked like Dave Hamilton’s career wasn’t going anywhere. Dave Hamilton must have realised this, and decided to embark on a career as a producer. This proved to be the best decision of Dave Hamilton’s musical career. It was as a producer, that Dave Hamilton excelled. Although he released continued to release the occasional single, Dave Hamilton is remembered a talented and successful producer. 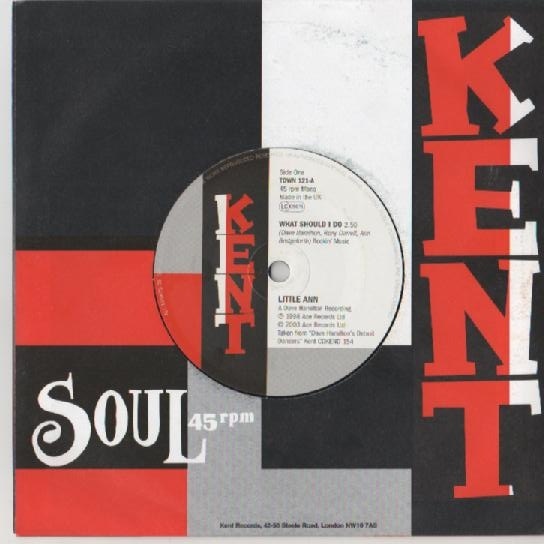 That’s why Dave Hamilton’s productions have been documented and celebrated by Kent Soul, an imprint of Ace Records since 1998. Since Ace Records secured the rights to Dave Hamilton’s productions in 1998, four compilations of Dave Hamilton’s Detroit Dancers on have been released. The first was Dave Hamilton’s Detroit Dancers. It was released CD in 1998. Another three volumes of Dave Hamilton’s Detroit Dancers followed in 1999, 2006 and 2011. However, each of these were released on CD. Recently, however, Ace Records decided to release a compilation of Dave Hamilton’s productions on vinyl. It’s entitled Dave Hamilton’s Detroit Dancers, and is the perfect introduction the this much loved compilation series. Why? Well, Dave Hamilton’s Detroit Dancers features some of Dave Hamilton’s finest dance tracks. This includes contributions from Little Ann, The Ravins, O.C. Tolbert, Tobi Lark, James Lately, Chico and Buddy and Priscilla Page and Rony Darrell. Fittingly, there’s even an appearance from the man himself, Dave Hamilton. Many of these fourteen tracks are real rarities. Finding copies are almost impossible. If you were lucky enough to find a copy, they would be hugely expensive. Dave Hamilton’s Detroit Dancers, which I’ll tell you about costs only £12, €15 or $18. Opening Dave Hamilton’s Detroit Dancers is an alternate mix of Little Ann’s What Should I Do. This is the first of two tracks from Little Ann, whose real name is Joanne Jackson. Originally, though many people thought it was Rose Valentine. That was the name on the label of version of What Should I Do being played on the Northern Soul scene around 2000. 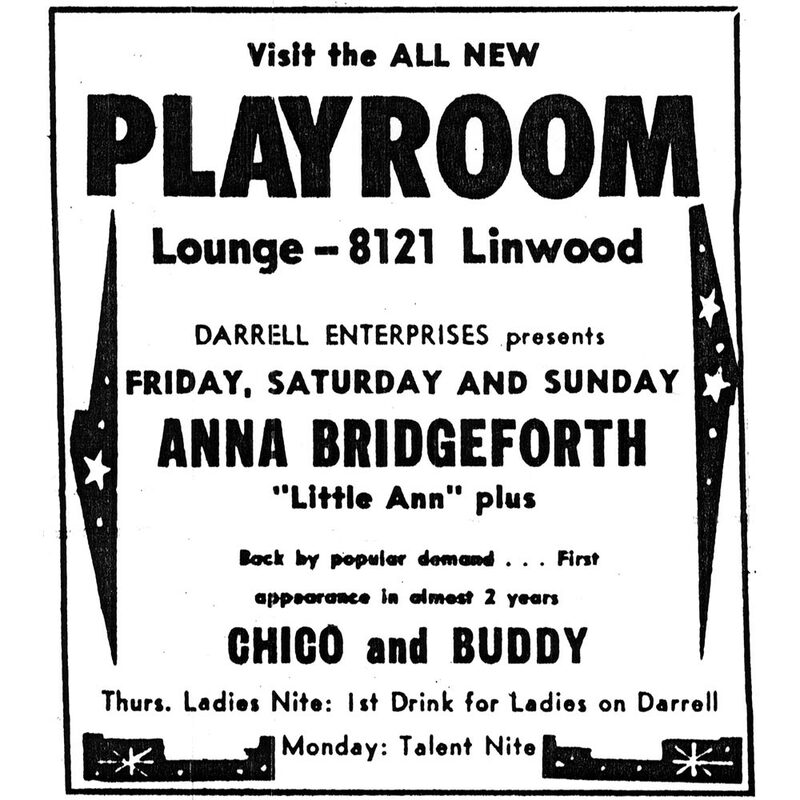 It only later came to light that it was Little Ann that recorded the single. What Should I Do, which was produced by Dave Hamilton made its debut on Dave Hamilton’s Detroit Dancers in 1998. 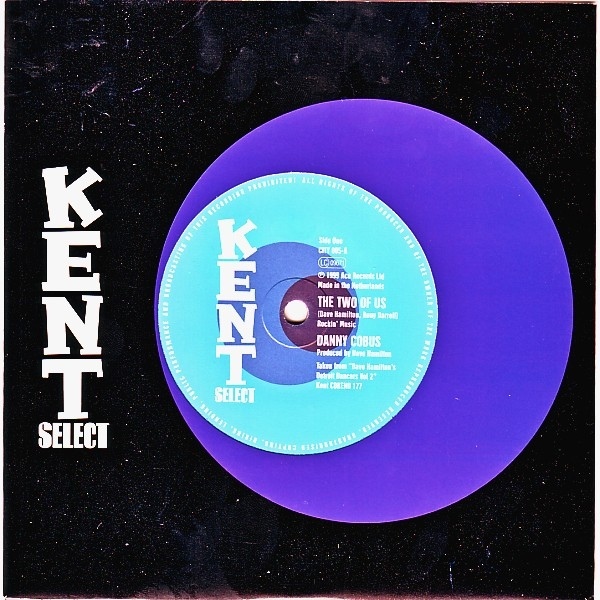 Four years later, it was released as a single by Kent Records. 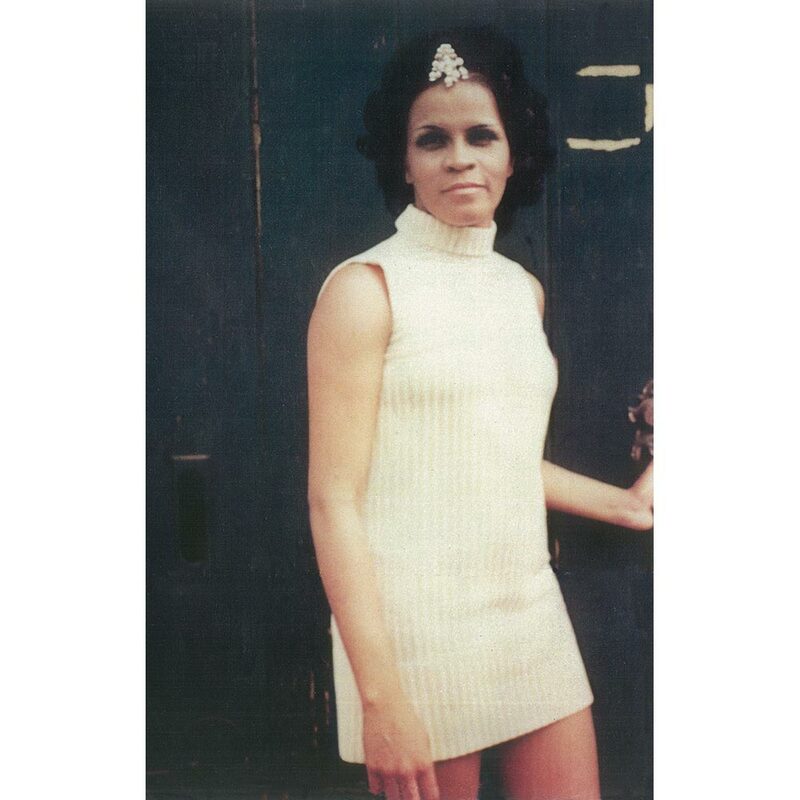 Not only had a mystery been solved, but one of the hidden gems of the Northern Soul scene was available to a much wider, and appreciative audience Little Ann’s other contribution is Who Are You Trying To Fool, which was the B-Side to What Should I Do, a defiant Northern Soul stomper. Just like What Should I Do, Who Are You Trying To Fool showcases a talented and underrated singer, who never came close to enjoying the success she deserved. Several of the artists on Dave Hamilton’s Detroit Dancers feature twice. This includes Tobi Lark, who in 1966, released Challenge My Love as a single. It was penned and produced Dave Hamilton, and released on the Topper label. It’s an uber rare single. Copies are almost I’m impossible to find. That’s because so few copies were sold. That’s surprising, given the quality of Tobi Lark’s hurt-filled vocal from Tobi Lark. On the flip side, was Sweep It Out In The Shed, which Dave Hamilton and Rony Darren cowrote and produced. Sweep It Out In The Shed features a tender, needy vocal. Just like Little Ann, Tobi Lark never enjoyed the commercial success her talent warranted. Dottie and Millie only ever released one single, Talkin’ About My Baby, which was penned and produced by Dave Hamilton. released on the Topper label, just before Tobi Lark’s Challenge My Love. Sadly, it suffered the same fate. Talkin’ About My Baby. Accompanied by stabs of blazing horns, Dottie and Millie almost cha cha their way across the arrangement. The result is a truly irresistible and dance-floor friendly track. O.C. 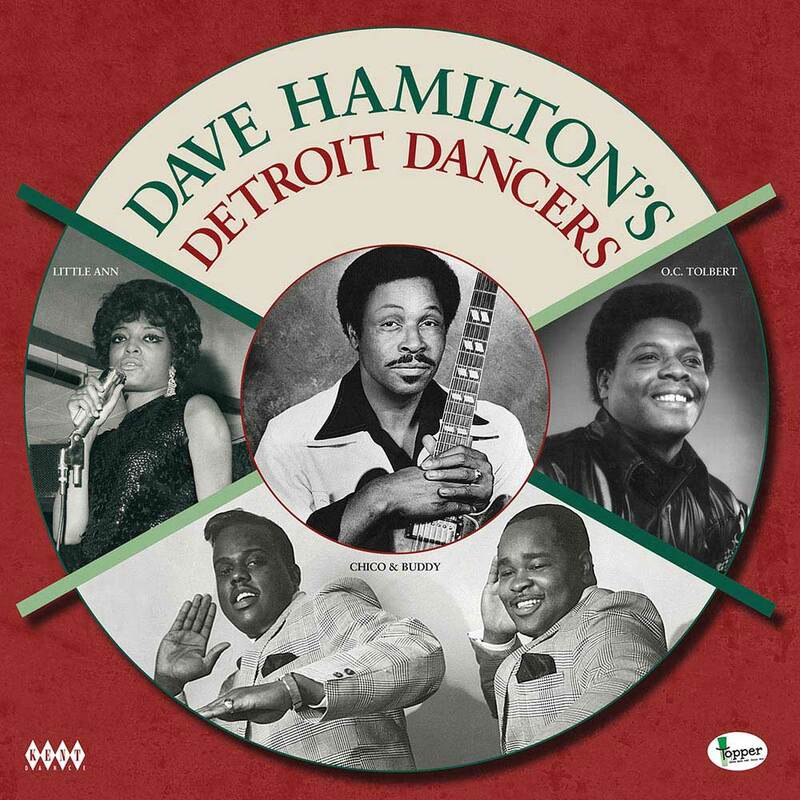 Tolbert features twice on Dave Hamilton’s Detroit Dancers. His first contribution is I’m Shooting High (I Reach For The Sky). The other is You Got Me Turned Around. They’re both Dave Hamilton and Rony Darrel compositions. I’m Shooting High (I Reach For The Sky), which has a slow, but hopeful sound and made its debut on the first instalment in the Dave Hamilton’s Detroit Dancers series, which was released in 1998. You Got Me Turned Around was released as a single on the TCB label in 1969, and is a tale of hurt and heartbreak. Twenty years later, and You Got Me Turned Around featured on Dave Hamilton’s Detroit Dancers Volume 2. Just like I’m Shooting High (I Reach For The Sky), You Got Me Turned Around became a favourite on the Northern Soul scene. 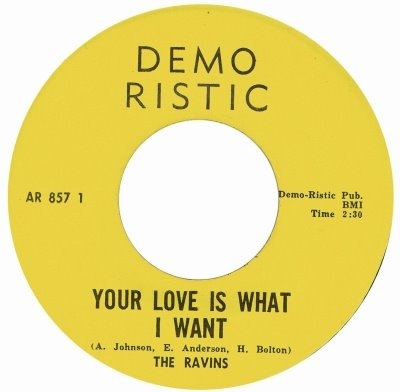 The Ravines’ Your Love Is What I Want is easily one of the rarest tracks on Dave Hamilton’s Detroit Dancers. Copies just don’t change hands. Those fortunate to have a copy, aren’t for selling. When copies come up for sale, buyers exceed sellers. Your Love Is What I Want, which was released in 1965, on the short-lived Demo Ristic label, is seen by some as soul perfection. J.T. 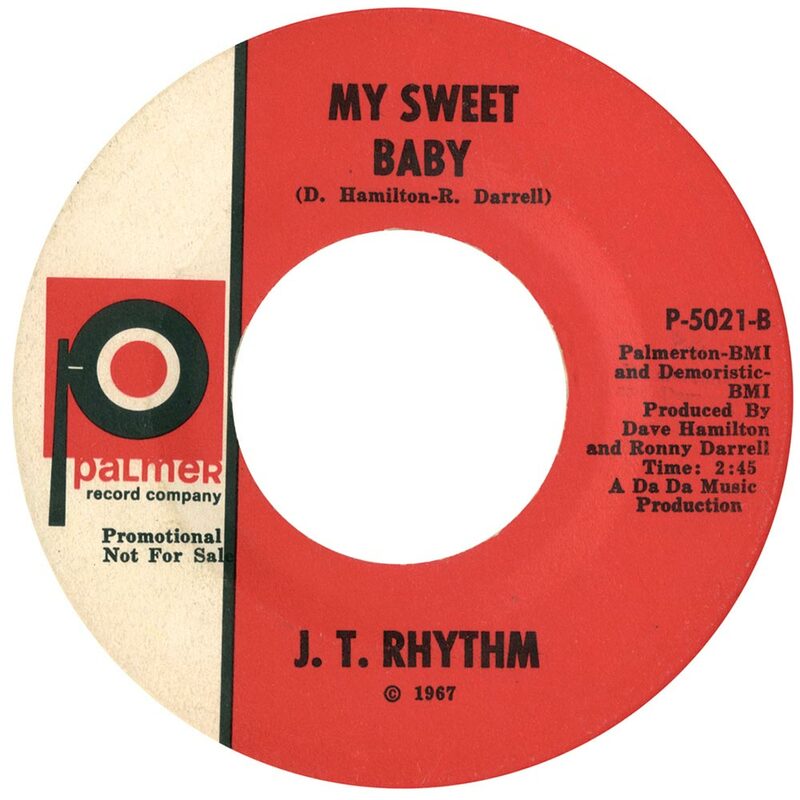 Rhythm are responsible for what’s without doubt, one of the highlights of Dave Hamilton’s Detroit Dancers, My Sweet Baby. It was penned and produced by Dave Hamilton and Rony Darrel. They’re responsible for what’s a quite beautiful Northern Soul ballad. Originally, My Sweet Baby was the B-Side to J.T. Rhythm’s 1967 single All I Want Is You, which was released as a single by the Palmer Record Company. Sadly, the single disappeared without trace, and copies are almost impossible to find. So, in 1998, My Sweet Baby was chosen as one of the tracks to feature on the first volume of Dave Hamilton’s Detroit Dancers. At last, this beautiful, elegiac ballad was being heard by a wider audience. Seventeen years later, and My Sweet Baby returns for a welcome and overdue encore. Danny Cobus recorded The Two Of Us is back in 1968. Sadly, it lay unreleased in Dave Hamilton’s vaults until 1999. By then, Ace Records were about to release Dave Hamilton’s Detroit Dancers Volume 2. The Two Of Us, which Dave Hamilton and Rony Darrell composed, and Dave produced, found its way onto Dave Hamilton’s Detroit Dancers Volume 2. At last this hidden soulful gem was being heard by a wider audience. Then in 2007, Kent Select released The Two Of Us as a single. On the flip side was Chico and Buddy’s You Won’t Miss The Water, which Dave Hamilton wrote and produced. It first featured on Dave Hamilton’s Detroit Dancers in 1998. Nine year later, and You Won’t Miss The Water made a welcome return on this limited edition single. Only 500 copies were pressed and quickly snapped up by eager record buyers, keen to acquire two long, lost soulful delights. James Lately and Dave Hamilton cowrote James’ debut single, Love, Friends And Money. It was released on the Temple label in 1965. What followed was a familiar story. Love, Friends And Money, wasn’t a commercial success. That’s despite a needy, hopeful and soul-baring vocal from James. He didn’t release a followup to Love, Friends And Money, and was lost to music. Although Dave Hamilton was spending most of his time producing other artists, he hadn’t given up on his solo career. 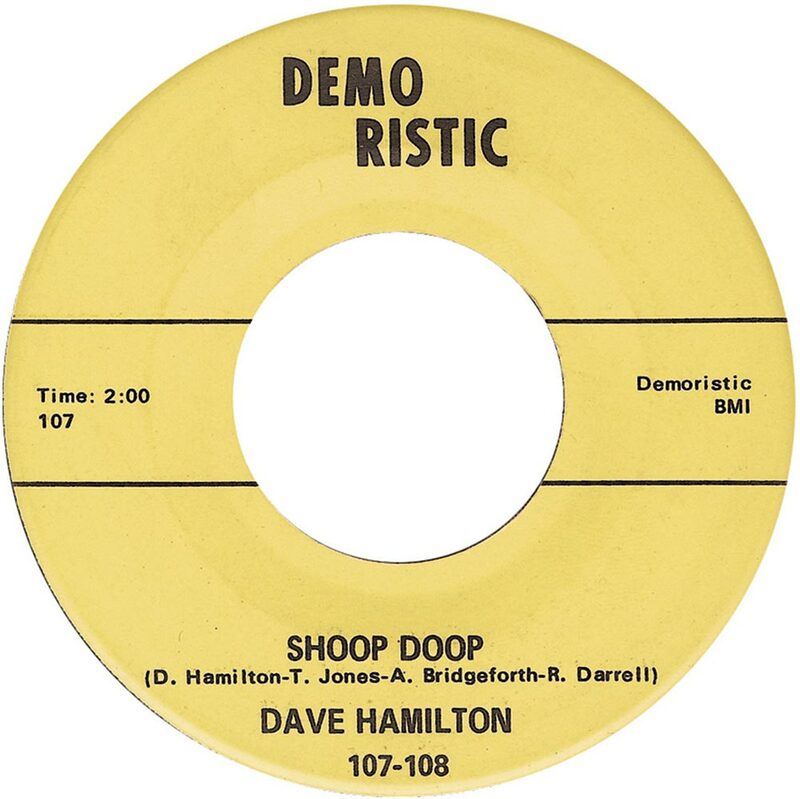 So in 1967, Dave released Shoop Doop as a single. It was released on the Demo Ristic label, but just like Dave’s earlier singles, failed to find an audience. Sadly, it was only later, that Dave Hamilton’s music found an audience, especially within the Northern Soul scene. Closing this special vinyl edition of Dave Hamilton’s Detroit Dancers, which was recently released by Kent Soul, an imprint of Ace Records, is Priscilla Page and Rony Darrel’s You Did. It was released on the Topper label, in 1965. You Did is another Dave Hamilton and Rony Darrel composition. They had formed a successful songwriting partnership. However, You Did was the first time Priscilla Page and Rony Darrel. Although it’s a tale of heartbreak, it’s not short of hooks. It’s a call to dance that will have dancers sashaying their way across the dance-floor. This newly released vinyl edition of Dave Hamilton’s Detroit Dancers will appeal to both veterans of the Dave Hamilton’s Detroit Dancers series and newcomers to the series. It features a mixture of familiar faces and hidden gems. All of them have one thing in common, they’re dance-floor friendly. Some of the tracks may be fifty years old, but they’ll still fill a dance-floor. That’s partly down to one man, Dave Hamilton. While Dave Hamilton may not have as high a profile as some soul producers, he was a successful and talented producer. He had the uncanny knack of bringing out the best in artists and groups. Sometimes, he transformed careers. Sadly, just like any producer, some of Dave Hamilton’s singles failed to find the audience they deserved. As a result, these songs are extremely rare. That’s because very few copies of the singles sold. Despite their rarity, a few fortunate DJs and collectors picked up copies of Dave Hamilton’s productions, including those on this vinyl edition of Dave Hamilton’s Detroit Dancers. Many of these rarities were found years ago, in warehouses and basements of dusty record shops. Back then, these singles cost pennies. Nowadays, the same singles cost hundreds, if not thousands of pounds. However, fortunately, those unable to afford such exorbitant prices, can always pick up the Dave Hamilton’s Detroit Dancers compilation series. Previously, four volumes of Dave Hamilton’s Detroit Dancers have been released. The first volume, Dave Hamilton’s Detroit Dancers was released by Kent Soul, an imprint of Ace Records in 1998. Further volumes of Dave Hamilton’s Detroit Dancers were released in 1999, 2006 and 2011. Apart from the four volumes of Dave Hamilton’s Detroit Dancers, Dave Hamilton’s Detroit City Grooves was released in 2005 and Dave Hamilton’s Detroit Funk was released in 2006 by BGP, another subsidiary of Ace Records. The latest addition to Ace Records’ Dave Hamilton portfolio, is the recently released vinyl edition of Dave Hamilton’s Detroit Dancers. Along with the six CDs, this newly released vinyl edition of Dave Hamilton’s Detroit Dancers goes some way to telling the story of Dave Hamilton’s career as a producer. just picked up “Football Blues” on Maullted Records by Ed Cooper and The Maullted Sound, 102269…I can’t find any info at all. It says Demoristic BMI at the top right (bottom says produced by W. Maull). Help is welcome ? ?